WITH THE CODE "LADHeroes" ! Ladbrokes is one of the biggest betting platforms in the world with over 100 years of experience in gambling. It is part of the iPoker network. On top of the classical offers such as different variants and formats (Texas Hold'Em, Omaha, Omaha Hi-Lo, Seven Card Stud, Five Card Stud and Razz ; No-Limit and Pot-Limit), Ladbrokes has high stakes tables ($25/$50 and $50/$100) and organizes satellites qualifying to the major live events. When you fold a hand, you’re immediately seated at another table and dealt new cards. Up to 45,000 players at peak times. 200% Bonus Up to £1200 WITH THE CODE "LADHeroes" ! Receive €1 in cash for every 100 Ladbrokes Points that you generate (up to €50 in cash every month). 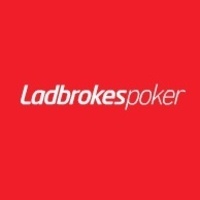 A Ladbrokes Poker School that offers free tools for beginners. Download Ladbrokes Poker now and get a 200% bonus up to £1200 with the code LADHeroes !